It's been a couple days since he passed away, but thought I'd interrupt QAM to inform you anyway. I think the entire world recognizes this dog by now....ugly little thing, wasn't he? He died of cancer November 10. 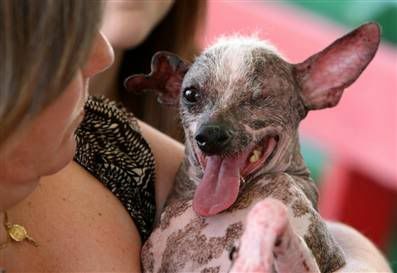 You can find the full story about the one-eyed, three-legged, Chinese crested dog in this article.